Join us on April 27th for an engaging lecture and discussion with two sustainability experts. One is special guest Dr. Tim O’Riordan (Emeritus Professor of Environmental Sciences, University of East Anglia, UK). The other is Dr. Jon O’Riordan (Strategic Advisor, Water Policy, POLIS Water Sustainability Project; Associate Fellow, Centre for Global Studies, University of Victoria; Advisor, Adaptation to Climate Change Team (ACT), Simon Fraser University). 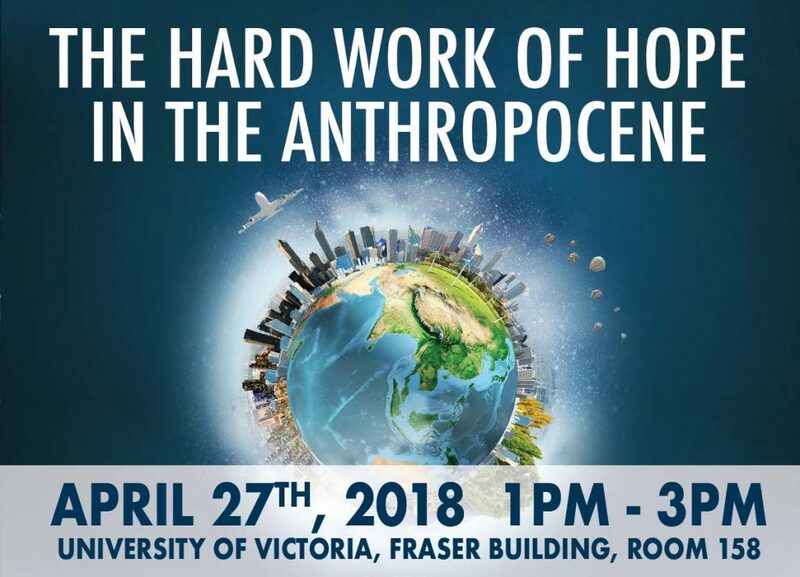 Their shared lecture will explore sustainability science in action, and the necessity and challenge of finding hope in the Anthropocene, when human activity has become the dominant influence on altering the planet Earth. The speakers will discuss specific sources of hope, with a focus on the transformative potential of sustainability science. They will emphasize how this branch of science has evolved in its evidence base and its relationship to government, business, and civil society. Dr. Tim O’Riordan will map out possible pathways for sustainability science for the rest of this decade, and Dr. Jon O’Riordan will share insights from a recent collaboration with the Pacific Institute for Climate Solutions and his book The Hard Work of Hope (Rocky Mountain Books, 2017), focusing on strategies for both fostering and creating hope. A discussion and audience Q&A will follow, moderated by Laura Brandes (Communications Director, POLIS Water Sustainability Project). This event is being hosted by the University of Centre for Global Studies and POLIS Water Sustainability Project.